Recognised as one of the Welsh rugby greats on playing ability alone, Clive Rowlands is a man who appears to have done it all. His first cap saw him appointed captain of Wales against England in 1963, a position which he retained for his next 13 caps between 1963 and 1965, leading Wales to their first Triple Crown victory since 1952. Before the glory, however, Clive had experienced a rich but astonishingly sad life. This book tells of the tragic, untimely deaths of his father and sisters, and of his battle back to health after a serious illness. It then details the remarkable story of his success, charting his triumphs as a triple-jump champion, a first class rugby player, a teacher of undisputed authority and, finally, as captain of the Welsh international rugby team. 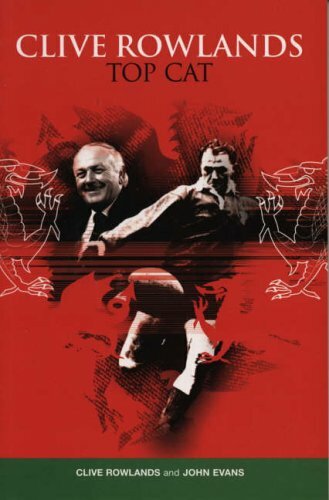 The book lifts the lid on what happened during the game of the infamous 1-1-1 lineout, details his triumphant period as manager of the Australian Lions, and reveals the secret of his success as coach to the world-renowned Welsh team of the 1970s following the end of his own playing career. Learn too of the story behind Clive's resignation as president of the Welsh Rugby Union and of his courageous battle against cancer. All is revealed in this official and highly personal autobiography. Clive Rowlands is the only man in history to have captained, coached, managed and acted as president of the Welsh rugby team. He resides in Swansea Valley. John Evans has worked with BBC Radio Wales for over 25 years, broadcasting programmes on sports including rugby, boxing and snooker. He lives in Cardiff.